November TG notes brought to you by Michael Tax. It is in this very same spirit that virtually all participants at Think Galactic’s November group meeting have taken on both works, and we realized the tremendous opportunity presented of a side-by-side comparison. 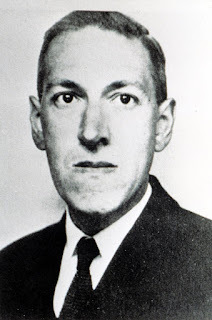 Our progressive feminist sensibilities of necessity bristle at the outright objectification of person that informs the plot of Lovecraft’s classic novella. 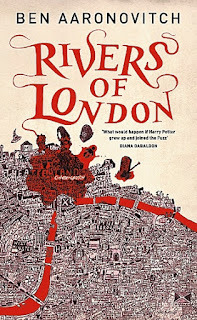 But I was fixated on how its horror is not coexistent with, but seems to be dependent on the author’s xenophobic point-of-view, and wouldn't stop until everyone in the group either agreed or told me to cool it. Ultimately, we think the horror of The Horror at Red Hook actually originates precisely with this perspective of an incomprehension of other cultures. This view must be truly horrifying for one such as H. P. Lovecraft, given his novella’s multicultural melting-pot setting of contemporary 1924 Red Hook, Brooklyn. Many of us were in attendance at an enlightening Wiscon 40 lecture given by the very gifted Sofia Samatar on the topic of writers of admiration, who were/are also people of flawed morality. In her novel The Winged Histories, itself a collection of intertwining novellas, Samatar channels the writing style of Leo Tolstoy, Ernest Hemingway, and Cormac McCarthy. Though capable of incredible prose, some of the most amazing of the 19th and 20th centuries, can we (or should we) be able to isolate our enjoyment of these authors' incredible works from our abhorrence of the anti-feminist and cultural superiority views which would be considered strong even contextually for the norms of the time? Tolstoy was likely abusive towards his spouse, and later in life adopted a form of religious radicalism. Hemingway wrote and lived in a context of misogyny and homophobia. Dr. Samatar, an author of color herself, asked her audience to consider whether any of that should matter, especially when otherwise great literature is to be considered? As we reminisced on the grace and incisiveness of Samatar’s strong and persuasive lecture, Think Galactic agreed with her basic conclusions of openness to an author’s artistic merit, but an unforgiving take on the principles that inform any talented artist who may be at the same time be a flawed individual, and we prefer to adopt an equally critical take on the prevailing philosophies of the time that potentiate these unsustainable views. We spent a lot of time initially this month trying to determine which of these works to us is more horrifying. I persist in my view that Lovecraft’s sense of horror is actually more keen. It has to do with the prevalent mores of the time, and the lack of ready explanation for the indescribable. Some of us are familiar with the philosophical concepts of Kant’s sublime, and the the paradoxically horrifying, and yet seductive, unknowable immensity of an incomprehensible totality. We want to know more until, to our horror, we are consumed by it. Whichever our contextual basis for thinking about horror, ultimately good horror literature leaves us freaked out by the stuff on the printed page, and yet we can’t look away. 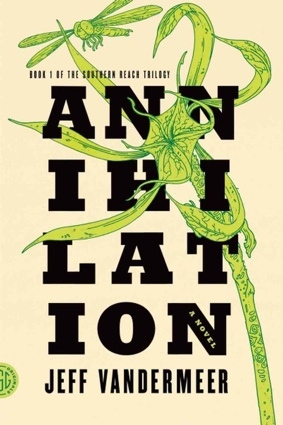 Of the many novels containing elements of horror recently discussed at Think Galactic, the best example of this has to be Jeff Vandermeer’s first volume of the Southern Reach trilogy: Annihilation. In it, the unknowable entity at the heart of the mysterious disruption at Area X is completely inhuman and unknowable, and lavishes the reader with the horrific consequences of an alien entity/human expedition interface. Malevolent humanity is not horror (in fact we feel that human ill-intention is actually rather mundane); but a powerful and uncaring alien disruptive force certainly is. You too can stand up Peter Watts; who manages to include a superior example of this in his excellent science fiction novel Blindsight, another recent Think Galactic reading selection. These examples notwithstanding, is it possible to defend the notion that horror fiction has reached a peak in some bygone golden age? Is this true of genre fiction in general? Is it true that adventure literature such as that of Jules Verne just seems more, oh I don’t know...authentic, than that of any contemporary author? What was known about the wonders of the deep sea in 20,000 Leagues Under the Sea, for instance, was not scientifically catalogued in the late 19th-century. So is the sense-of-wonder serendipitously introduced in this context just not possible in a contemporary world in which the infinite of the conceptually-large (deep sea) or small (particle physics) is more widely-known? So is it possible that adventure literature may have peaked in some bygone golden age? Similarly, has detective fiction been in relative decline since the days of Doyle or Christie, as more is learned—and maybe more importantly—depicted about forensic technology and procedure on television? Logical deduction at the crime-scene is no longer a super-power of the chosen few, it is practiced regularly by any one of the off-beat weekly CSI-whatevers for our low-level entertainment. And so on the conversation goes for high fantasy à la Tolkien. I digress (as we similarly digressed at the outset of November’s meeting, you see). But these topics beg digression. Subjective opinions on the quality or attributes of respective contemporary genre fiction with what has come before merits lots of words, and we argued this to it’s logical extent on a bleak November Wednesday evening. After lengthy discussion, we thought that it is unjust, and sometimes even dangerous, to carry overly-sentimental views towards a particular tormented pulp-horror author who happened to be first in his occult horror class. It is possible that these questions bore more importance to us, given that the group meeting occurred just one day after an American election in which a candidate was able to successfully convince a voting public of the existence of a golden age (“make America great again,”) and that he can somehow bring it back again. Given the threat to various human rights that the results of this election represent, a deeper examination of this brand of horror originating in xenophobia, which Victor LaValle likely understands deeply, seemed altogether more pertinent. Fan-art cover by Mark Foster. 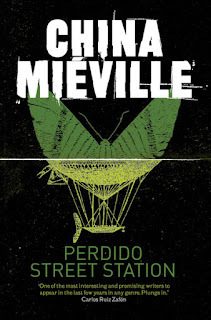 Ultimately, we settled into the opinion that Lovecraft’s fiction is more horrible, LaValle’s depiction of the mystery at Red Hook is more horrifying. Stated another way, The Ballad of Black Tom depicts a steadily-progressing horror of a contemporary real-world situation whose foundations of social inequality and cultural misappropriation are well-understood, but the progression of horror in the plot is no less inexorable nor less genuine. We all felt that the Lovecraftian eldritch mythos is borrowed deftly by LaValle to suit this end. 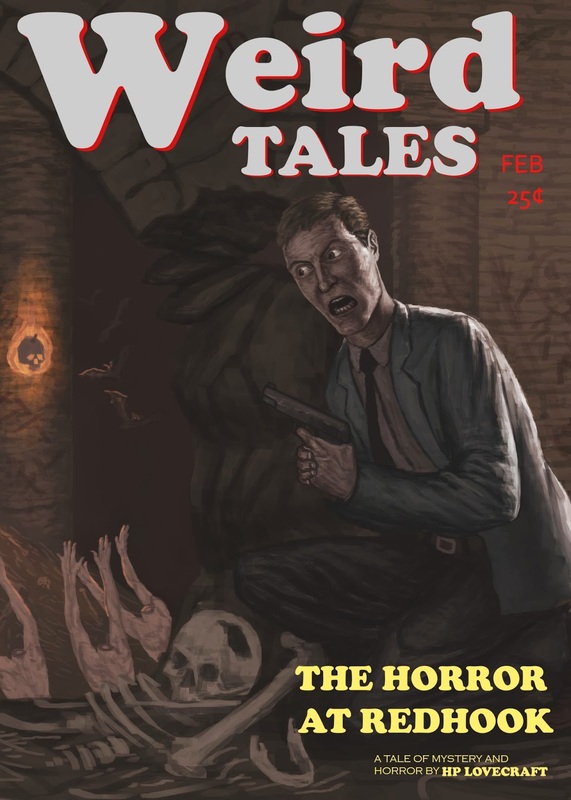 In using the strengths of shared-world literary fiction, it utilizes Lovecraft’s incredibly rich and evocative dark implications to depict the true horror of actual inequality of opportunity and the incipient violence of racial objectification. They just don’t make ‘em like Cthulhu anymore, y’see. But maybe they don’t really need to in a world where actual continuing human-rights abuses, and irreversible climate change, and all of the other difficulties for future humanity present as darkly ominous possibilities on the near-horizon. 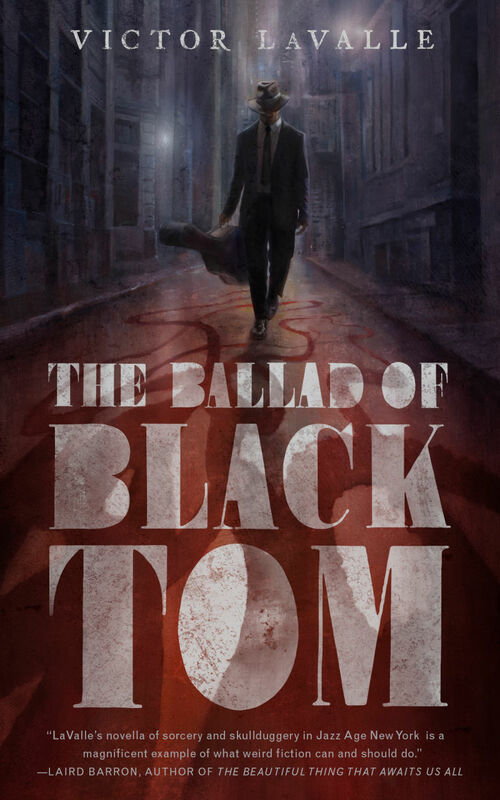 Maybe Victor LaValle’s The Ballad of Black Tom is the perfect example of modern horror: real-world problems that seem as inexorable as they are ignorantly- and incompletely-understood. And just maybe our subjective orientation to classic horror doesn’t fit modern horror anymore, and comparisons are moot. Modern horror might be more akin to terror, and the common media fascination with terrorism brings it into all daily into our living rooms, possibly rendering more typical classic horror superfluous. 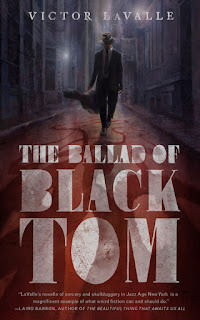 The character of Black Tom was not created through an unhealthy fascination with the occult—his brand of nihilism was elaborately sculpted by the same social factors that are readily apparent to a Tommy Tester, and it is a terribly chilling transformation to behold for the modern reader. Whatever the case, our group was ultimately thankful for what may have been the “perfect Halloween read.” We appreciated the hybrid nature of this month’s reading, being an advancement of characterization and ideas first envisioned by the “great but flawed” early-20th century pulp horror master. Many of us felt that we were better able to visualize the horror using LaValle’s contemporary lens than we could with Lovecraft’s archaic renderings. “Racism from the inside” was mentioned to describe the deft multiple perspectives employed by Victor LaValle in bringing about a more empathetic contemporary reading experience than would be possible for an author whose letters and correspondences belied a constant and tangible fear of the other. 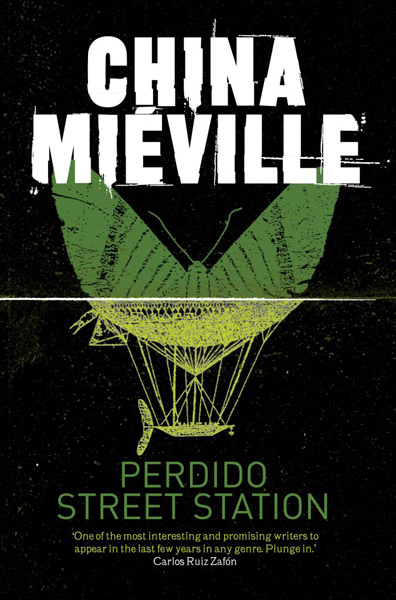 In the creation of the character Tommy Tester, and in his transformation to Black Tom, LaValle subverts the pulp horror writer's paranoia into a parable of hopelessness and terror. What of that fear of the other, and in it’s depiction how does Victor LaValle clear hurdles that Lovecraft, with his baseline xenophobia, doesn’t even perceive? He recognizes the capacity for any one disaffected group to have a healthy distrust of more traditional social structures meant to prop up the elite and connected (several examples of racial profiling, and not questioning a wealthy man can who can validate his own twisted morality with verbally contracted work on a dubious payment schedule) But LaValle also recognizes the propensity of one minority group to see other minority groups as a competitive threat. Tommy Tester harbors a distrust of the Victoria Society for most of his life due to it’s perception as a den of gangsters, and also due to vague rumors of the occult. So we absolutely loved that the main characters find it to be a diverse communal sustainable social environment, complete with interesting multi-ethnic foods, depending on the servers on any particular day. We thought that LaValle's symbolism ran deep. The razor, as a tool is passed on to Tommy, and was originally used for Otis’s protection from chain gangs while stowing on a dangerous journey from middle America to the promise of a better life in the city. And we felt it to be a sad symbol in it’s conversion to use as a weapon of terror. We thought that Tommy Tester’s guitar case, in it’s emptiness, represented this black man’s only means of upward mobility in Harlem, through a pure hustle of perceived musical ability. LaValle attributes great power to roots music. It is the common basis for communication between the older generation Otis to interact with the younger Tommy in their isolation, and as the song lyric advises, to “trust your real friends.” In it’s pure American blues form, it’s metaphorical ability to conjure is given agency by LaValle. We also thought it an unfortunate echo of those early twentieth-century musical geniuses who, living in poverty, were manipulated for their ability to make powerful music and a healthy living for record producers. Much has also been made of Lovecraft’s anti-Semitism. Lovecraft’s Suydam is obsessed with the occult, and much of the eldritch horror stems from a hybrid of Hebrew folk tradition and Zionist mysticism, which becomes a potent brew of ritualistic summoning when mixed with generic immigrant paganism. This is one of Lovecraft’s tendencies: to stream one incomprehensible cultural belief into another into a sort of word-salad of prejudicial ethnic and demographic descriptors. LaValle’s Suydam is also depicted as a manipulative eccentric, but he updates the character into a more believable culturally-insensitive dabbler that will stop at nothing in an effort to obtain power, and ultimately his undoing is that he gets in too deep and unleashes a Frankenstein’s monster. But is that monster an eldritch horror, a global climate catastrophe, or a brand of nihilistic terrorism? We weren’t sure, but that is LaValle’s literary privilege. The descriptions LaValle employed were excellently visual, and much appreciated by the group. But one of the features of Lovecraft’s horror is it’s multi-sensorial approach to exposition, and the amazing olfactory descriptions Horror at Red Hook portrays must be one of the reasons Lovecraft is able to tap into a more primitive brainstem-active portrayal of his all-encompassing and intensely foreboding brand of eldritch horror (not subordinate even to nature.) We were amused by a side discussion about admission at a John Waters’ movie earning you scratch and sniffs, to be used as directed for certain scenes, and we’ve heard somewhere that memory of smells in most people is imprinted forever. If there is a neuroscientific basis for Lovecraft’s horror, well, then this may very well be it. The group’s final thoughts included an appreciation of Tor.com for originally printing this work, and though not as brief as Lovecraft’s original, we appreciate all that Victor LaValle was able to say in the novella-short novel format. We discussed several other works that are indebted to the Cthulhu mythos, many of them funny, like Ben Aaronovitch’s "Rivers of London" series or Charles Stross’s "Laundry" series. But before conversation regressed into more real-world concerns over what direction America might take in the near future as a result of the day before’s presidential election, we took solace in other flawed artists whose work we varyingly appreciate. C.S. Lewis, Marion Zimmer Bradley, Robert Heinlein, and Woody Allen’s names all came up. We thought it certain that Victor LaValle had probably had many similar conversations about H. P. Lovecraft prior to writing The Ballad of Black Tom, and this evening’s discussion was in appreciation of what, or even whom, brings us horror. For December, Think Galactic is reading selections from Sisters of the Revolution, ed. Ann & Jeff VanderMeer. Keep up with Think Galactic on their website, Facebook, and Goodreads.